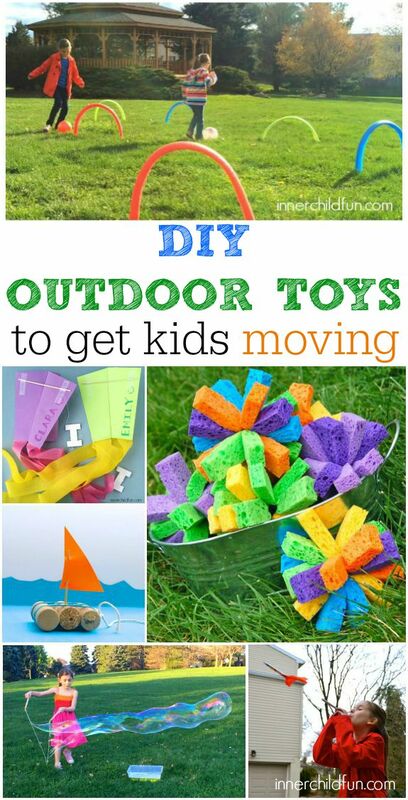 These DIY Outdoor Toys to get kids moving are perfect for the last few days of Summer or anytime you are looking for active outdoor play ideas. The best part is that they are made using common household items you probably already have on-hand! Since most of these DIY projects are quick to make, you will have plenty of time to be outdoors enjoying lots of playtime fun together. 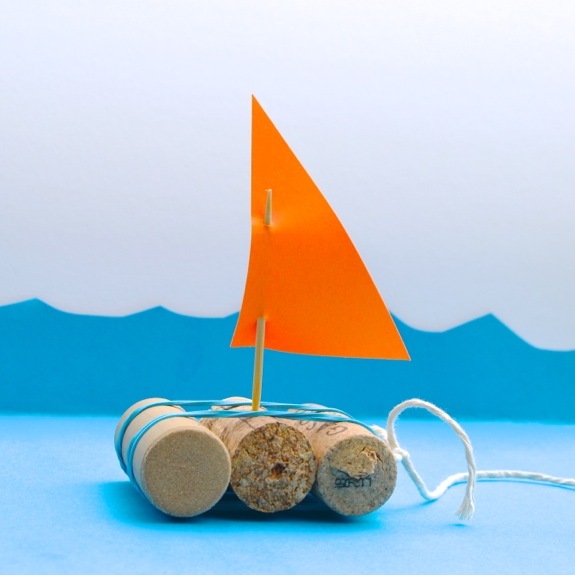 These cork boats are easy to make! Race them in the bathtub, or water table. You can even add a string so they can float in a lake, river, or creek. These kites take only a few minutes to make, and all you need is a piece of paper, a bamboo skewer, some string, and tape. They only need a light breeze to fly! 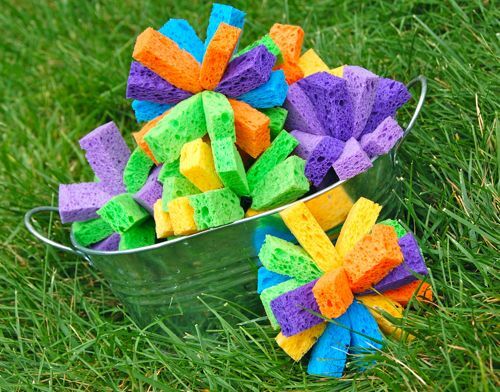 Sponge Bombs are an excellent alternative to water balloons. They use very little water, and can be reused for playtime fun all Summer long! Very simple to make, plus no balloon bits to pick up afterwards. 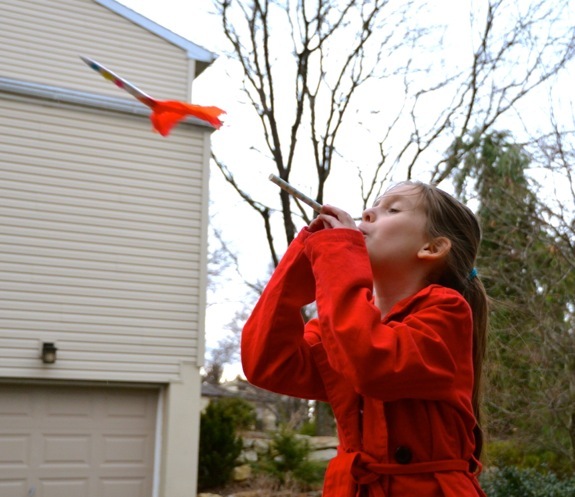 Make simple rocket straws with straws, paper, and tape. After, experiment to see how far and how high you can make them go! 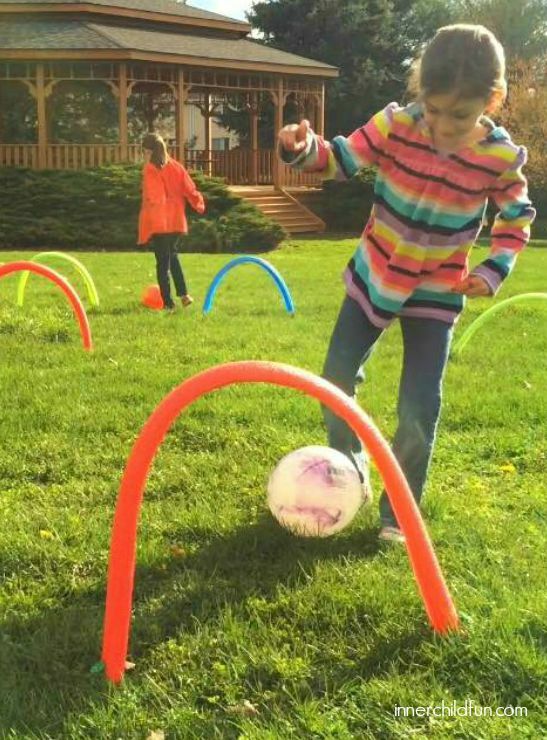 Encourage lots of active playtime fun with this homemade obstacle course made with pool noodles. 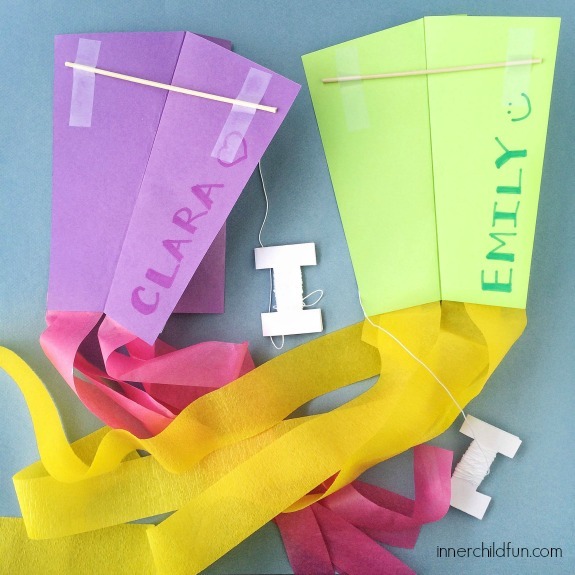 Great for kids who need to burn off some of their extra energy! 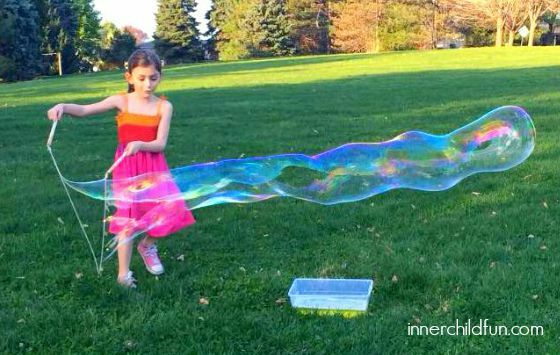 Make impressively huge bubbles with these homemade bubble wands using items from your local hardware store. These mega bubble wands can be reused all Summer long, and are great fun for kids and adults!